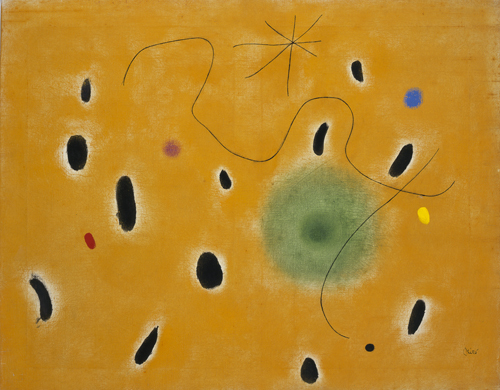 Signed lower right: Miró. Inscribed on the back, left: MIRÓ. / 7/VII/65; and right: ET LʼÉTOILE / SE LÈVE / AUSSI.